Is there a snipping tool for Mac? Yes. However, that’s not the only thing that exists. There are several apps available in the iTunes app store that promise to let you take a snip from your Mac’s screen just like you normally would on a Windows computer. We’re here to present you with all the options when it comes to generating a snip image on a Mac. We’re going to look at the basic option built into the Mac OS, as well as at a few different apps that can be used for this exact purpose. At the end of this short guide, you will have a full range of options for a snipping tool for Mac. You can take a screenshot of any area of the screen that you like. You can draw on your new snippet. You can highlight text on your new snippet. You can erase both the drawings and the highlights just as easily. You can email the snipped directly from the program. Naturally, when searching for a snipping tool for Mac, Windows users aren’t looking for something that will have just one of the functionalities above. So, when looking at the following options, we’re going to see which of the above features are still available in the respective snipping tool for Mac. It’s simple to activate this feature of Mac computers. As many of you will know, taking a screenshot on Mac can be done by pressing Cmd+Shift+3. This will photocopy your screen and leave it in an image file on your desktop. Now, for the original snipping tool for Mac, you have to press Cmd+Shift+4. Unfortunately, that’s about all you can do with this snipping tool for Mac. After you press the command, a selection tool will appear, allowing you to select the exact area that you want to snip. After this, the image will automatically appear on your desktop. You can take a snippet of whatever size you want. You can add text to the snippet. You can crop the snippet after you take it. You can paint or highlight the snippet. You can save the image in different formats. The Apowersoft snipping tool for Mac is far better in functionality than the original one, but it still lacks the simplicity of the original snipping tool for Windows. You have custom commands for each option in the app. You can take a timed snippet. You can take a full screenshot. You can record snippet videos. You can export your files to the TIFF format (very useful for professional graphic designers). Although the Grab snipping tool for Mac isn’t as complex as the other two we’ve discussed, it’s still a good tool for those looking for the precise features above. You can take any type of snippet you like. You have a one-click screenshot option. You can draw on your snippet. You can write on your snippet. You can paint and pixelate your snippet. You can crop the snippet after you’ve taken it. All in all, Skitch seems to be the snipping tool for Mac that is closest to the Windows version. 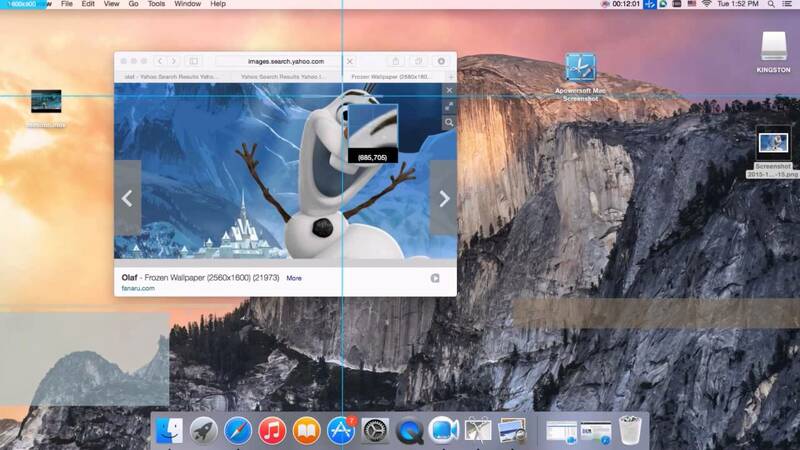 Which snipping tool for Mac do you use? Have you tried any of the ones above? If so, let us know what you thought of it in the comments section below.